So it turns out the HITT room is usually occupied most mornings. Bummer, so I had to use the regular gym. First workout on the Henderson Hall base gym, not too bad I must say. Well below previous PR but I haven't maxed a back squat in at least two months. That's my story and I'm sticking to it. 10 rep heavy, five sets for the day, high bar back squat and press. Can I do 3-1 for awhile? Maybe I can. Finished, turned off music, cleaned up, and started walking the dog before I saw I hadn't stopped the clock. My time was 30:06 at that point, so probably just under 20:00 was the end of the workout. Didn't get vey heavy, today was just about getting back under the bar. First let me thank my running partner, Miichone, of the Walking Dead fame. Today Songza offered a WD themed choice I music, and when I chose the Miichone playlist it was Japanese taiko drums--all of it. Powerful, serious, & fast. That's not how I ran, but it helped. 8x440m with 2:00 rest between. Didn't record splits, but smoked my legs. There is something about five rounds that has a nice ring to it. Makes me want to so a championship FGB soon. Now there's a thought. With the cost of couple memberships to local boxes being what they are, I am again resorting to being a garage gym crossfitter. It will have to fit for now. 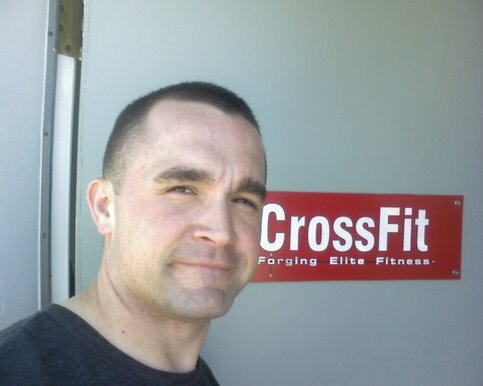 Tried out Outlaw CF, good wod. 1 HSPU, 10 power cleans. After about 3000 miles and 11 days, I finally got to do a workout. Tabatas of sorts, three stations, rotating through each eight times. Didn't total as I went, honk I dropped some here/there, but 147 felt like a good sweat. After spending 4 days driving. 10-12 hours it was a welcome relief.